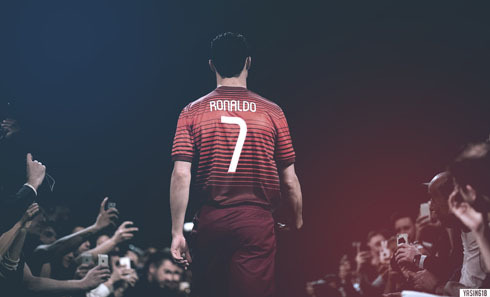 ﻿ Ronaldo: "We have the right weapons to fight against Bayern Munich"
28.04.2014 » Ronaldo: "We have the right weapons to fight against Bayern Munich"
We're one day away from Real Madrid's most important game this season. 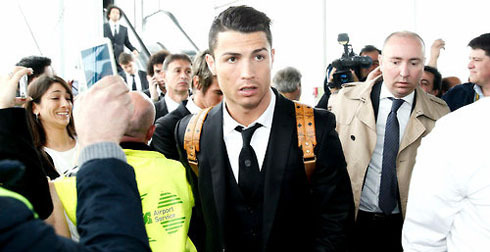 Cristiano Ronaldo and his teammates will travel to Germany to face Bayern Munich for the UEFA Champions League second leg and even though they carry a 1-goal advantage from their first meeting, they'll need to bring their "A" game to the Allianz Arena in order to get to the final. 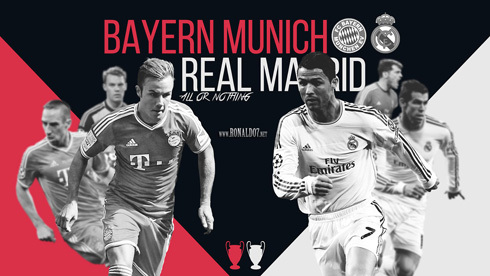 A true showdown will go down in Germany this Tuesday night, as another titanic Bayern Munich vs Real Madrid clash will finally decide who goes through into the Champions League final in Lisbon, scheduled for next May 24. Cristiano Ronaldo and Gareth Bale are expected to be in the Merengues's starting eleven and with that happening, they are sure to provide Carlo Ancelotti with the necessary weapons to terrorize Bayern Munich's defense. The Portuguese superstar granted a few words to Goal.com previewing tomorrow's encounter and he didn't spare words when it came down to show his confidence on his teammates and Real Madrid's chances to still win "La Décima" this season. How much does Real Madrid want to win their 10th UEFA Champions League title? And how much does Bayern Munchen really want to become the first team in Europe to win back-to-back Champions League trophies? The two sides are one step away from reaching a final where they can both write another golden page in their history and at this stage of the season, heroes are needed! Real Madrid carries a 1-0 win from the first leg, but judging from what we've seen happening in Dortmund just a few weeks ago, they can get into a lot of trouble this Tuesday night if they don't give their opponent the level of respect they deserve, as they visit Bayern Munchen in their own home ground, the Allianz Arena. In a short talk with Goal.com a couple days ago, Ronaldo didn't hide what many already know by now... Real Madrid is on a desperate quest for winning "La Décima" and every year that passes without bringing that much-wanted trophy to the Bernabéu, basically increases the pressure for the following season. With three straight eliminations in the semi-finals round, the Merengues hope to do better this year by knocking out the current European and German champions, the all-mighty Bayern Munich. Cristiano Ronaldo: "Winning La Décima (the 10th Champions League in the club's history) has obviously become an obsession here in Madrid, but a good obsession in my opinion. I'm not worried with Brazil's 2014 FIFA World Cup just yet, since all my focus is currently put on helping Real Madrid achieving its objectives. We were fortunate to have had the chance to win the Copa del Rey already, but now we still want to win La Liga and the Champions League. This last one is always the most difficult trophy one to win...", pointed out the 29-year old forward, who already knows what it feels like to lift a Champions League title, as he won it with Manchester United back in 2008. In the first leg clash, Real Madrid didn't mind giving the game's initiative to Bayern Munich, allowing for Pep Guardiola's men to keep a hold on the ball during large periods of the match. That seems to have perfectly suited Carlo Ancelotti's intents, who prepared his side to defend well and tight at the back, but at the same they've always been ready to catch the Bavarian's men off guard through fast counter-attacks. Cristiano Ronaldo: "I don't think this second leg will be much different from last week's game in Madrid. Bayern Munich are a great team but we're carrying a small advantage that we hope to capitalize on. It's definitely going to be a very difficult game for us, but I think we have the right weapons to fight against Bayern Munich...", remarked the competition's top scorer, who has already netted in 14 different occasions this season, which allowed him to set a new record in the Champions League. Ronaldo: "It would be a dream come true to have the opportunity of playing the Champions League final in Lisbon with Real Madrid. However, I don't even want to start thinking about that for now, since we still have an incredibly tough game in this semi-finals second leg against Bayern Munich", stated the former Manchester United winger, who is certainly going to play a decisive role in the Merengues's future in the Champions League, as Real Madrid takes on Bayern Munchen this Tuesday night. Cristiano Ronaldo next game for Real Madrid will be against Bayern Munich, for the UEFA Champions League semi-finals second leg, on April 29, 2014. You can watch Juventus live stream, Bayern Munich vs Real Madrid, Valencia vs Sevilla, Chelsea vs Atletico Madrid, and Juventus vs Benfica, all matches provided from our soccer streaming section.